The leadership team at Montefiore Medical Group (MMG) brings extraordinary levels of expertise and experience to our organization. MMG leadership upholds the highest standards of excellence and shows a dedication to the a model of care that addresses the needs of our patients in the the Bronx and Westchester County. Andrew D. Racine, MD, PhD, is Senior Vice President and Chief Medical Officer at Montefiore Medical Center and Professor of Clinical Pediatrics at Albert Einstein College of Medicine. He is responsible for Quality and Safety, Medical Affairs, Graduate Medical Education, and the 22-site Montefiore Medical Group. Dr. Racine joined Montefiore in 1992 as Chief of the Division of General Pediatrics, where he was responsible for two large academic practices that include attending pediatricians as well as pediatric residents. Prior to this role, he served as Associate Director of Pediatrics at Jacobi Medical Center and as a faculty member in the Division of General Pediatrics at Columbia-Presbyterian Medical Center. On a national level, Dr. Racine has been active in the American Academy of Pediatrics (AAP), serving as Chairman of the Advocacy Committee and Vice President and President of Chapter 3, District II. He also serves on the National Committee on Child Health Financing of the AAP and has achieved national recognition for his work on the use of hospital data to measure the effects of policy changes on health outcomes. Dr. Racine has received numerous awards, including the Lewis M. Fraad Award for Excellence in Teaching and the Emily Fenichel Award for Leadership in the New York Zero to Three Field. He was inducted into the Leo M. Davidoff Society of Albert Einstein College of Medicine for excellence in teaching. Dr. Racine completed his undergraduate education at Harvard and holds a combined doctorate in medicine and economics from New York University. He trained at Harvard’s Boston Children’s Hospital and went on to join the faculty of Columbia University College of Physicians and Surgeons. Matthew McDonough, FACHE, MPH, is Vice President of the Montefiore Medical Group, where he oversees the 21 practices within the Montefiore Medical Group and is also responsible for the School Based Health Program, the adult and pediatric integrated behavioral health services, and the Occupational Health Service. Integral to this role is maintaining the financial integrity of these programs, advancing MMG's continuous quality improvement initiatives, deepening the coordination of MMG's activities with those of the Care Management Organization and faculty specialty practices, and advancing Montefiore's strategic mission in the ambulatory sphere. 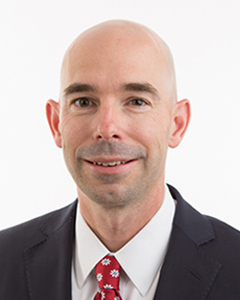 Mr. McDonough joined MMG in 2017 from Yale New Haven Health, where he held several leadership roles with increasing responsibility in quality improvement, operations, strategy and business development. In his most recent role, Executive Director of Business Development, he oversaw the development and execution of the physician network strategy, expanding the medical group physicians and sites in key geographic areas. Mr. McDonough earned a bachelor of arts from Boston College and a master's in public health in health management from the Yale School of Public Health, in conjunction with the Yale School of Management. He is a Fellow in the American College of Healthcare Executives. As Senior Director of Operations for MMG, Ms. Klar is responsible for managing the southern Westchester sites for the medical group's comprehensive primary, specialty and integrated behavioral care services located throughout the Bronx and Westchester. She works on planning new programs, satellite offices and expansion of services, and she oversees Employee Health Services at three campuses. Ms. Klar was promoted to this role in 2016. She first joined Montefiore in 2007 as Director of Corporate Programs, a role she held for six years before becoming Director, and then Senior Director, of the EPIC electronic medical record system. She holds a BA from New York University, where she also earned an MPA in healthcare administration. 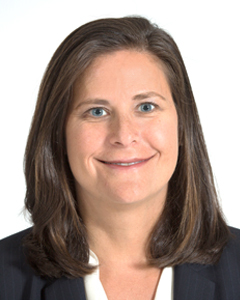 Maureen Warner joined Montefiore in 1995 as Manager for Health Promotion, responsible for the development of a nursing-led hypertension program for MMG. Four years later, she was promoted to Director of Clinical Services and Education, in charge of clinical services in the 22 primary care offices, 15 school-based health clinics and eight homeless shelters within the network. In this position, she coordinated the development of the ambulatory nursing education curriculum to enhance support staff competency and improve the quality of care delivered, and she managed multiple successful Joint Commission accreditations. In 2010, Warner was promoted to Director of Operations, responsible for fiscal, clinical and human resource management in 11 MMG non-teaching health centers and the development of three urgent care centers. Together with the management team, she is responsible for the implementation of the Patient-Centered Medical Home, a unique model of care providing comprehensive, proactive and team-based care to all MMG patients. Warner holds a bachelor’s degree in organizational management and a master’s degree in healthcare management from Mercy College. She also has a background in emergency department, intensive care unit and medical/surgical nursing and more than 30 years of clinical and administrative experience in acute care and ambulatory care settings. As Regional Medical Director for MMG’s Neighborhood practices, Dr. Hodgson is responsible for clinical oversight and quality at five community based practices. Dr. Hodgson completed her residency training in the Department of Family and Social Medicine before joining Montefiore in 2009 as an attending physician at West Farms Family Practice. In 2011, Dr. Hodgson was appointed Medical Director at West Farms. A graduate of New York Medical College, Dr. Hodgson was a National Health Service Corps scholarship recipient. She holds an academic appointment with the Albert Einstein College of Medicine and is also an active member of the American Academy of Family Physicians. Currently, Dr. Hodgson serves on the peer review committee for MMG. Michael Brandsdorfer is Director of Finance for Montefiore Medical Group, overseeing the financial reporting and management of its more than 20 outpatient sites and over 800,000 annual visits. Prior to joining Montefiore in 2012, he spent five years as the Finance Director of a Federally Qualified Health Center in Brooklyn and six years as a member of the HealthCare Group at RSM McGladrey/Goldstein Golub Kessler, LLP. Mr. Brandsdorfer received his BS in accounting from the Sy Syms School of Business at Yeshiva University in 2001 and has been a Certified Public Accountant since 2003. In 2009, he received the Jeffrey T. Latman Award for excellence in fiscal management from the Community Health Care Association of New York State. Rahil Briggs, PsyD, joined us in 2005 as Director and founder of the Healthy Steps Program at Montefiore, a program that has expanded to multiple MMG sites to help to ensure that parents and their babies get started on the right track. Three years later, in 2008, Dr. Briggs was appointed Assistant Professor of Pediatrics, Albert Einstein College of Medicine. In 2013, she was named Director of Pediatric Behavioral Health Services and tasked with spearheading the formation of the most comprehensive integrated behavioral health system in the nation, developing innovative behavioral health programs for our pediatric and adolescent population while continuing to expand Healthy Steps to other sites. Dr. Briggs's work concentrates on bringing together mental health specialists with primary care pediatrics, to focus on prevention, early childhood mental health and development, and parent-child relationships. A Duke University graduate, Dr. Briggs completed her doctoral work at New York University. She has published numerous manuscripts in peer-reviewed journals, as well as book chapters, and she is widely quoted in popular publications. Maureen Vachna, RN, has served as Director of Nursing for Montefiore Medical Group since May 2012. She has over 30 years of nursing leadership experience. Prior to joining MMG, she was the Nursing Site Director of Medical Patient Care Centers & Services at the Wakefield Campus. In her current role, Ms. Vachna is responsible for the nursing clinical oversight of the Patient-Centered Medical Home and provides technical, educational and consultative support to all nursing staff. Ms. Vachna received her BSN from Mercy College and her MSN in nursing administration from the College of New Rochelle. She also has certification as a Nurse Executive and Pediatric Nurse through the American Nurses Credentialing Center.